Our Bridgestone tires performed extremely well all weekend in both wet and dry conditions. We managed to fit pro driver Mike Skeen in our car for a couple stints. 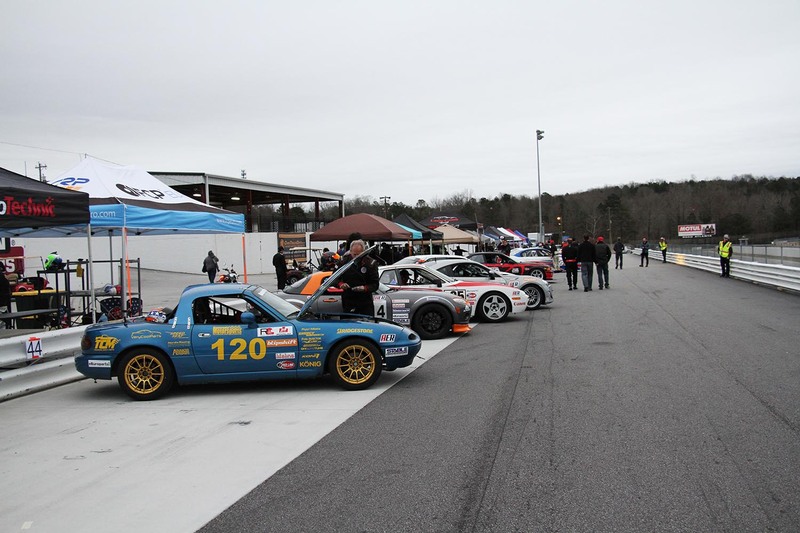 Going into our very first American Endurance Racing event at Road Atlanta, we didn’t have high hopes. Well, we did, but we didn’t actually expect them to pan out. 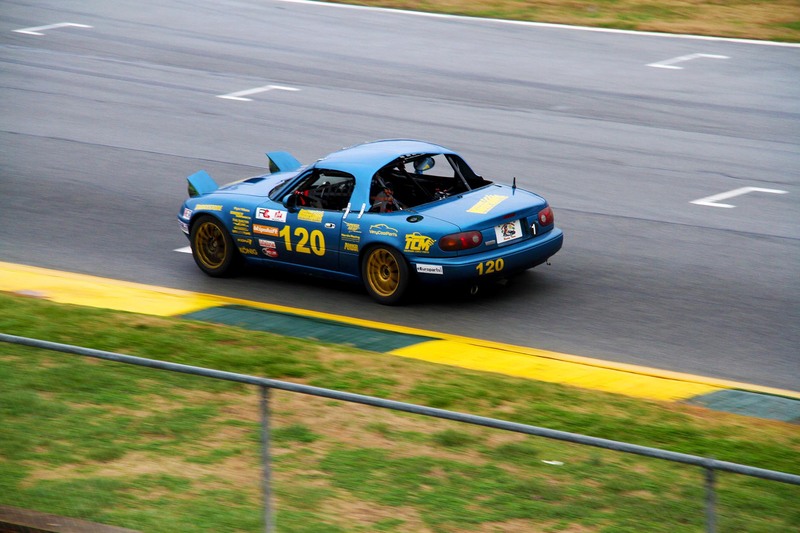 Our Miata had suffered a catastrophic failure at each of its last two races, and we feared the same fate would befall us again while racing with AER. Fortunately, AER’s format was a big help. At most races, they use Friday for practice and then qualifying, with the actual races held on Saturday and Sunday. That meant we had an entire day (Friday) to sort out any remaining bugs and get comfortable in our car. We even took some time to install a new driver cooling system, courtesy of Fresh Air Systems Technologies. Unlike some of the other chilled-water-in-a-t-shirt systems we’ve tried, the F.A.S.T. system had a neat trick: a potentiometer, which we mounted next to the shifter, acts as a thermostat for the system. We faced weather between 50 and 70 degrees during the weekend, and it was awesome being able to have only 1/3 of the system’s cooling capacity working so we didn’t freeze to death. Fortunately, we didn’t have many bugs to sort after a day of practice. We’d taken our time before this race, working on the car, testing the car, and preparing the car. Finally, it had paid off. Our only issue during practice? The radiator fan wouldn’t turn on, leading to some fairly high coolant temperatures at some points around the track. A quick run to the parts store for a new universal fan fixed that issue, and we were back in action. 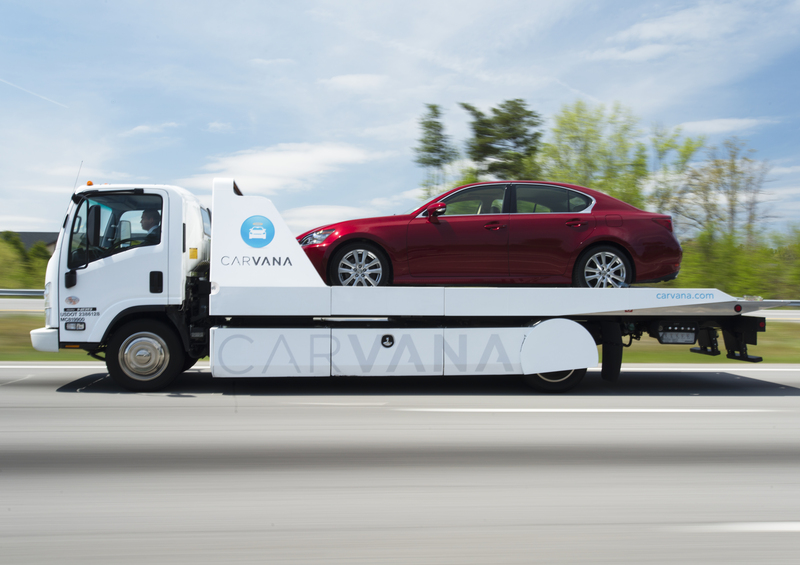 We swapped on a brand new set of Bridgestone Potenza RE-71R tires, then put the car in the trailer for the evening. Then, it was time to race. 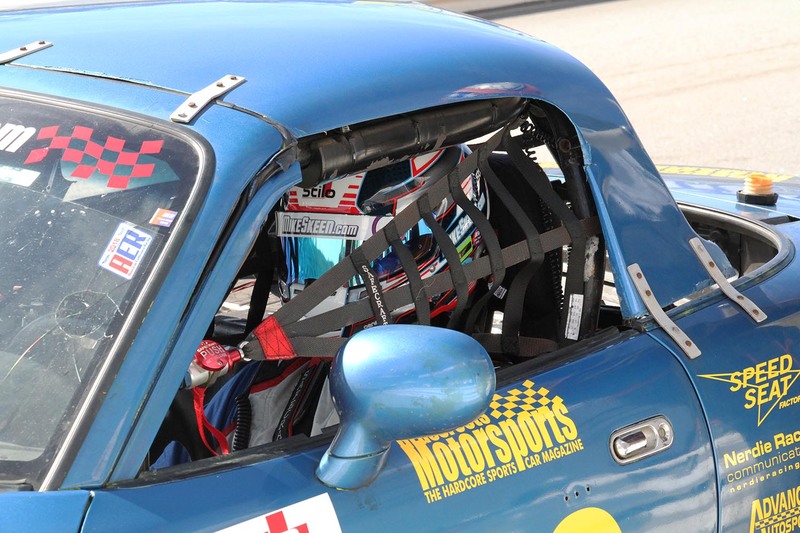 Saturday morning’s race start went well, but just a few laps in our Miata came back into the pits. We’d broken a front sway bar end-link bushing, causing a bad clunk and effectively disconnecting the front sway bar from the car. We flipped the link upside down so it wouldn’t be able to separate from its bushing anymore (Miata control arms have a steel tab on each side of the link, while their sway bars have only a bolt on one side of it), then went back out on track. The result? A fun, easy day at the track, though our car’s limited fuel capacity meant we were pitting way more than our competition in class 1 (the slowest AER class). We finished Saturday towards the back of mid-pack. It wasn’t a victory by any stretch of the imagination, but it was certainly a personal triumph: We’d finally rehabilitated our turbo Miata, and it had completed a day at Road Atlanta without any major issues. Next came Sunday. AER treats each day’s race as a separate event, so we were back in the running for a solid finish, provided the car would cooperate. We drove through the morning without issue, though we watched in horror as each pit stop knocked us down another position or two. AER requires only five stops per race day, but our Miata struggled to drive for more than an hour before fuel starvation set in. That meant we were pitting far more often than the other cars in our class, and we finished a trackside PB&J lunch with our car running in mid-pack. 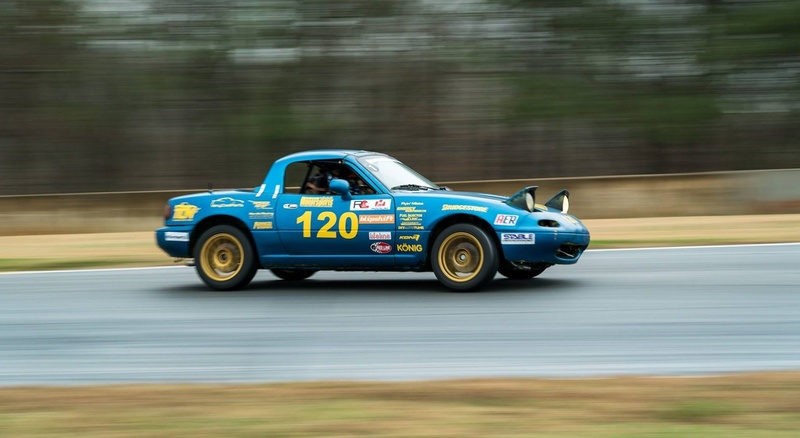 We were consistently running laps around 1:49, which we thought was pretty darn good for a Miata on mostly-stock suspension with 200-treadwear street tires. As it turns out, he did–mostly thanks to the Advanced Autosports drop floor kit in our Miata, which lowers the driver’s seat an additional 1.25 inches. Mike went out on track, and almost immediately posted a 1:45.6-second lap. Wow! We watched our car climb a few positions, passing cars we’d only dreamed of catching before. Then, he needed gas just 45 minutes into the stint. We refueled the car, and he ran another hour clicking off laps nearly four seconds faster than we could manage. All good things eventually fade away, and Mike was no exception. After nearly two hours in the car, he had people to see and cars to drive, so he left with a smile and a wave. We soldiered on for the last few hours, though the car was noticeably down on power by this point. 20 minutes before the end of Sunday’s race, we pulled it into the pits: The turbo wasn’t making boost anymore, and the left-side tires had clearly had enough of Road Atlanta’s turns. We finished the weekend in fifth place out of 12 entrants in our class, and a quick post-race inspection confirmed our fears: Our turbo broke two of the studs holding it to the exhaust manifold, and stretched the rest to the point that we were pumping more exhaust through the gap than through the turbine. What’s next for our Miata? Well, we finally made it last (nearly) an entire race, which is a big improvement from where we started a few races ago. It has a few glaring needs–mostly stiffer springs, which explains the aggressive tire wear–but there’s a method to our madness. 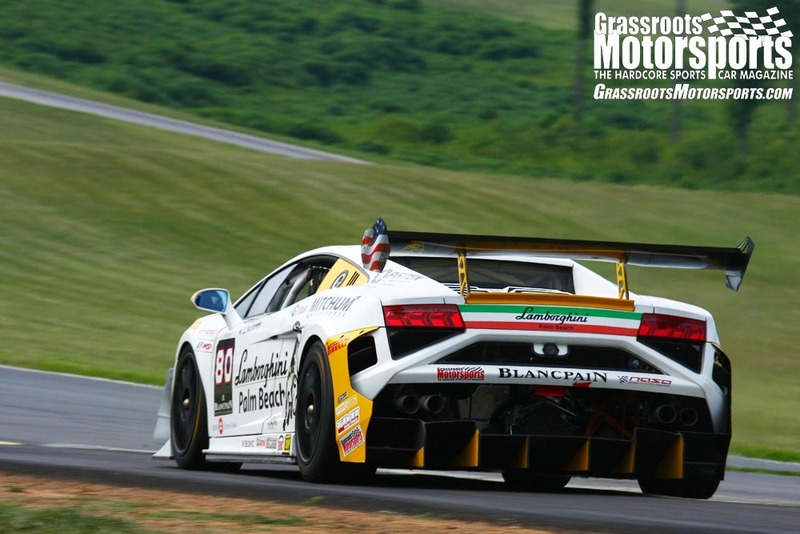 We ran the car at AER Road Atlanta in full 500 point-legal ChampCar trim, because we’ve already entered our next event: We’ll be returning to Daytona International Speedway with the ChampCar Endurance Series on April 7. We blew up the car just a few laps into last year’s ChampCar Daytona race, so that will be our chance to right our wrongs and set the record straight. Looks like we need to get back out to the garage. Sounds great. Finished with a running car, and sorted out some of the last details. Yea, we are playing the same game with our ghetto charged Lemons Civic, and that exact fix did solve the turbo separating from the manifold adapter. Gearhead, what issues are you getting now and on what platform? We’re having trouble keeping piston rings in the thing now, working on getting the right specs for that now. Good thing boost is addictive. Current unsolved issues are all heat related... I'm on the hairy edge of having enough cooling for the horsepower, and not enough points left to fit the big radiator. More (effective) venting may do it, we'll see. Hacked stock Honda ecu, we are pulling timing, no evidence of detonation, think we need to widen the ring gaps a bit more, we have a lot of cylinder pressure. Cooling, yup. We have a giant radiator and the biggest oil cooler we could fit, plus ducting work. Until that was all done we had to run at about 2/3 to keep it from cooking. Now we can hammer it all day and stay appropriately cool. Glad your fortunes have improved. 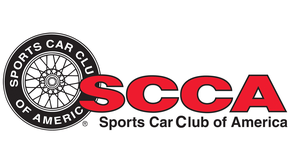 If you are only lasting 45-60 minutes per tank and continue to have mechanical issues, I wonder if an ecotec swap and a fuel cell (to maximize fuel capacity under champcar rules) would be a better way to go? I'm surprised the failed cooling fan caused an issue on the track. I wouldn't have expected it to run. That's what I was going to say; how is a non-functioning fan be a problem at-speed? In the pits, sure, but on-track? Our Miata clearly needs more ducting, because yes–a cooling fan actually made a difference. It dropped temps from 230 to 215 on track at speed. And the fuel issue... We have that one figured out, too. But that will be another update. Fuel cell seemed so obvious when I read this earlier today, that I figured it was outside of the rules. Glad to see you finished well. Hopefully no hot shot came along and thought they could port out the whole intake manifold and everything. In which case an old timer comes back and replaces the gasket when they aren't looking. Alternatively, you can run a milder tune. Maxxing a turbo 4 on pump gas might be around 17 degrees of timing advance. With a larger lower rpm 4 that might be a little different. Currently trying this brown basmati rice and peas to see if the root canal worked. 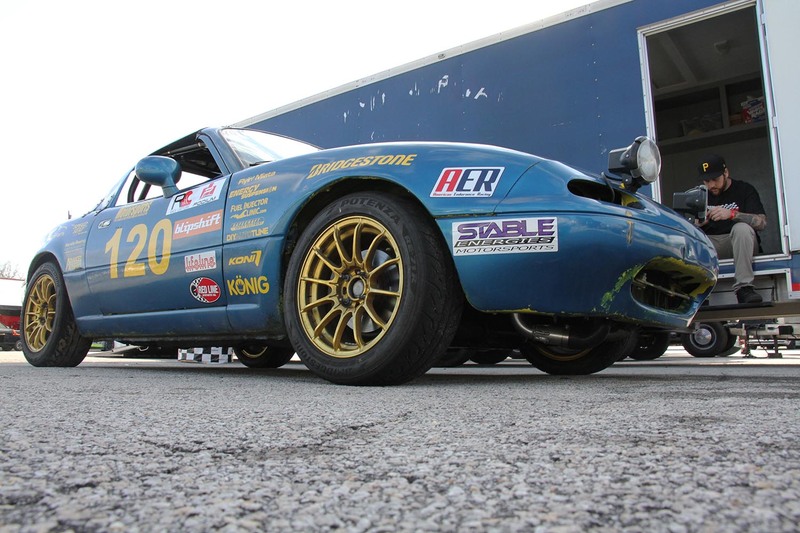 Another well known and very successful endurance racing turbo NA Miata team went so far as to remove their fuel cell as the changing fuel load had enough of a weight difference in the small light chassis to cause some handling issues. They have gone back to a stock tank, and usually get 1.5+ hours out of it. Pay attention to how the fuel return is placed in the tank. If it's not dumping into the little dump, you'll have trouble with starvation. There's less airflow through the rad at speed than you might think. Fans work. Even NASCARs run fans. The air though the radiator needs to be slowed down so it can absorb heat. Look at the tiny inlets Nascars run. I think they only run the fans during cautions and pit stops. It was long thought that more air through the radiator was needed. It has now been found that less is more. Even dirt track racers have found that indirect air is better. It also keeps the mud out. Long story short, there should be no need for a fan at racing speed. If the fan helps , then something is wrong. If the fan helps, then you're cooling better than without it :) I've found that good fans make a massive difference at highway speeds, more than ducting or radiator changes do. I still say, if a fan helps at highway/racing speed, something is deficient in the cooling system. Okay. You can say that I'm just basing this on experience with a few different Miatas, including one of my own street cars. Perhaps they're fundamentally deficient. But since we're talking about a Miata, it's a reasonable data point. You're welcome to come by, take the fans off and try to keep that street car cool on the highway. You are allowed to make any changes you'd like. I'd be interested to see what you come up with. I went through a number of different things before hitting on the fans. Years ago, I used to take the fan off my DD. Only once in heavy traffic did I have any overheating, turned the heater on full blast. My Saab 96 never had a fan, even in hill climbs. My ZX2SR's fan only came on on the cool down lap and entering the pits. So, as you say, Miata have deficient cooling systems and need help.